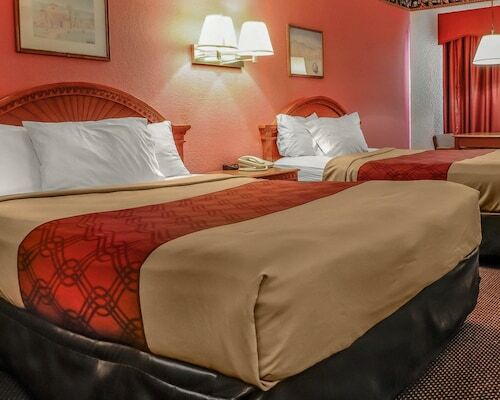 Situated in the business district, this hotel is within 3 mi (5 km) of Tucumcari Historical Museum, Mesalands Communtiy College, and Tucumcari Mountain. Tucumcari Municipal Golf Course is 6 mi (9.6 km) away. Situated in Tucumcari, this hotel is within 3 mi (5 km) of Tucumcari Historical Museum, Mesalands Communtiy College, and Tucumcari Mountain. Tucumcari Municipal Golf Course is 5.8 mi (9.4 km) away. 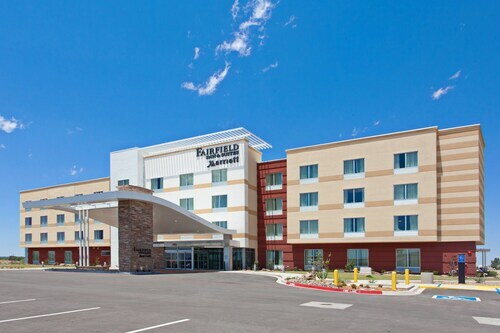 Situated on the Strip, this hotel is 2.7 mi (4.3 km) from Tucumcari Historical Museum and 2.8 mi (4.5 km) from Tucumcari Mountain. Mesalands Communtiy College and Tucumcari Municipal Golf Course are also within 9 mi (15 km). 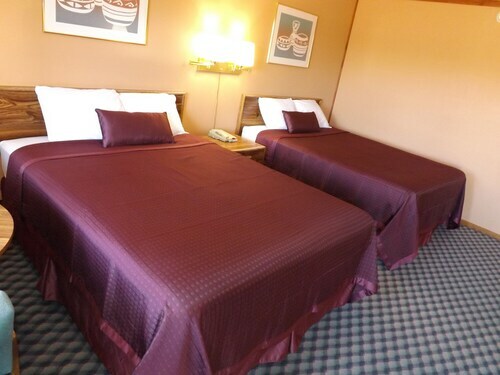 Situated in Tucumcari, this motel is within 3 mi (5 km) of Tucumcari Historical Museum, Tucumcari Mountain, and Mesalands Communtiy College. Tucumcari Municipal Golf Course is 7.9 mi (12.8 km) away. 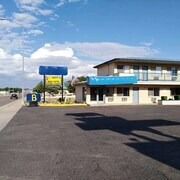 Situated near the airport, this motel is 2.7 mi (4.4 km) from Tucumcari Historical Museum and 2.9 mi (4.6 km) from Tucumcari Mountain. Mesalands Communtiy College and Tucumcari Municipal Golf Course are also within 9 mi (15 km). 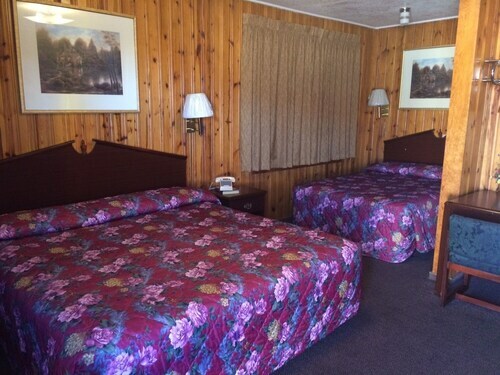 Situated in Tucumcari, this motel is within 1 mi (2 km) of Tucumcari Historical Museum and Mesalands Communtiy College. Tucumcari Mountain is 2.7 mi (4.3 km) away. 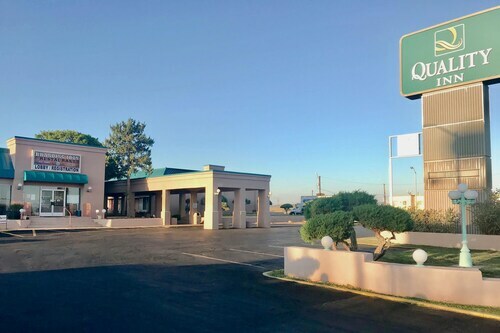 Situated near the airport, this hotel is within 3 mi (5 km) of Tucumcari Historical Museum, Mesalands Communtiy College, and Tucumcari Mountain. Tucumcari Municipal Golf Course is 5.8 mi (9.3 km) away. 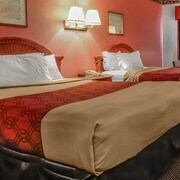 Situated in Tucumcari, this hotel is within 1 mi (2 km) of Mesalands Communtiy College and Tucumcari Historical Museum. Tucumcari Mountain and Tucumcari Municipal Golf Course are also within 6 mi (10 km). 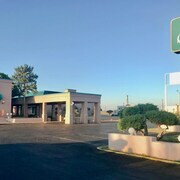 Situated in Tucumcari, this hotel is 2.5 mi (4.1 km) from Tucumcari Historical Museum and 2.7 mi (4.3 km) from Tucumcari Mountain. Mesalands Communtiy College and Tucumcari Municipal Golf Course are also within 9 mi (15 km). 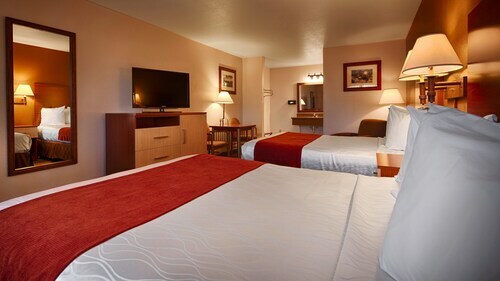 Situated in a rural location, this hotel is 0.7 mi (1.2 km) from Tucumcari Mountain and within 3 mi (5 km) of Tucumcari Historical Museum and Mesalands Communtiy College. Tucumcari Municipal Golf Course is 7.3 mi (11.7 km) away. 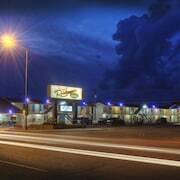 Situated in Tucumcari, this hotel is within 3 mi (5 km) of Tucumcari Historical Museum, Tucumcari Mountain, and Mesalands Communtiy College. Tucumcari Municipal Golf Course is 6.8 mi (10.9 km) away. 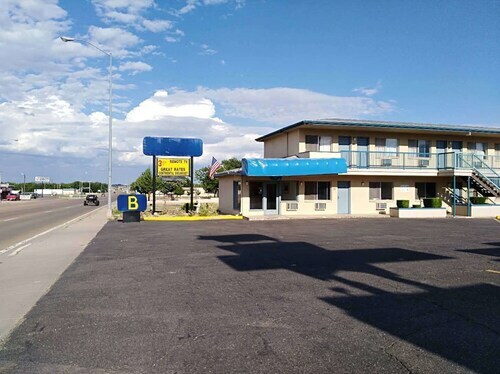 Situated in Tucumcari, this motel is 0.9 mi (1.5 km) from Tucumcari Historical Museum and within 3 mi (5 km) of Mesalands Communtiy College and Tucumcari Mountain. Tucumcari Municipal Golf Course is 6.4 mi (10.3 km) away. 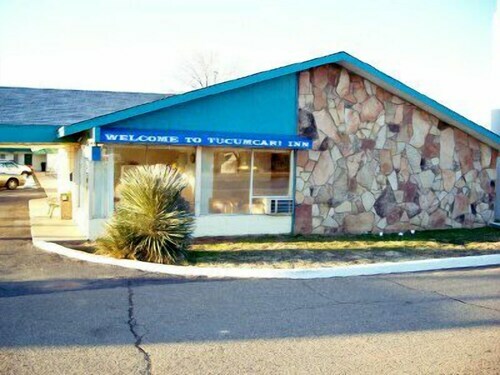 Pet lovers shouldn't miss the chance to visit Tucumcari, a quaint and family-friendly city known for its restaurants and cafés, as well as sights like Tucumcari Mountain and Tucumcari Historical Museum. 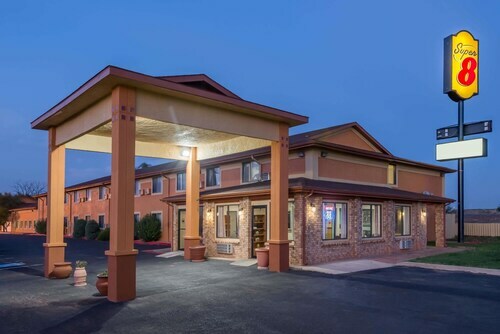 Choose from Travelocity's 13 pet-friendly hotels and accommodations in Tucumcari and bring your fur babies along! Enjoy top attractions like Tucumcari Municipal Golf Course. For vet care, Tucumcari Animal Hospital, Mountains Veterinary Clinic, and GRIFFITHS VET SERVICE are located in the area. Pets are allowed for a fee at this 2-star hotel. 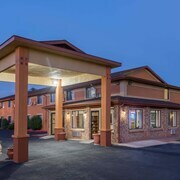 Guests appreciate its walkable location and comfy beds. Pets stay free at this 2-star motel. Guests appreciate the pool and helpful staff. Cats and dogs stay free at this 2.5-star hotel. Guests appreciate the breakfast and pool. Weather can make or break your stay, especially if you're hoping to spend time outdoors. Here are the average day and night temperatures to help better plan your vacation in Tucumcari. From January to March, average temperatures range from 69°F in the daytime to 23°F at night. Between April and June, the daytime average is 94°F and the nighttime average is 38°F. From July to September, average temperatures range from 94°F in the daytime to 49°F at night. Between October and December, the daytime average is 79°F and the nighttime average is 23°F. Very clean and well looked after and the staff was great. Everything is very clean and convenient for eating. Hotel was average. Prefer a hotel with hallway access instead of outdoor access to each room. Clean,easy to find and exit onto highway . The room was clean and warm . Carpet in room had been replaced with laminate flooring. It was clean and nice!